June 15 – Last Day of School! Principal’s Notes - A huge thank you to our wonderful staff! I am amazed and impressed every day with everything you do in working with our students. I am very thankful for the opportunity to work with each one of you. 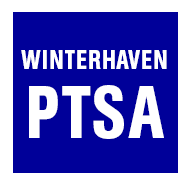 A thank you as well to our Winterhaven families for providing treats and meals to our staff this week! We truly appreciate all you do to help support us here at school. I also want to thank the Cleveland Alliance for Racial Equity group who came to our school last Friday and spoke to our middle school students and staff. We appreciate the time they took to prepare their presentation and the message they gave to our school. We have posted in the main hallway student reflections on the presentation, so if you are able to do so, I encourage you to stop by and take a look. Spring Elementary Music Concerts - Please mark your calendars for our Spring Elementary Music Concerts. Our students are working hard and looking forward to a presentation of songs from a variety of countries. Restaurants for Raphael House – The Raphael House’s annual dine-out fundraiser is coming up in just two weeks. The big day is Wednesday, May 17th and 49 restaurants around Portland, Lake Oswego, and Beaverton are donating a portion of their day’s proceeds. A full list of participating restaurants and a map of their locations is online at raphaelhouse.com/events/raphael_house_special_events/restaurants-for-raphael-house. Contact Dave Huckaba for more information.